Here we cover the details about Space Mountain photos on board the roller coaster, the camera on the ride, and showcase some pictures of the ride that we have selected. 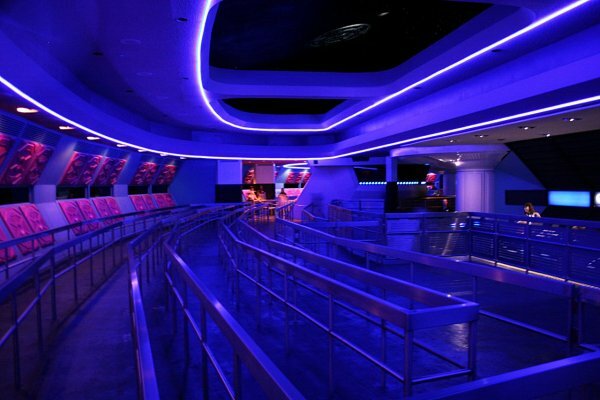 This page covers the Space Mountain attraction that is in Tomorrowland at the Magic Kingdom, Walt Disney World Resort, Florida. 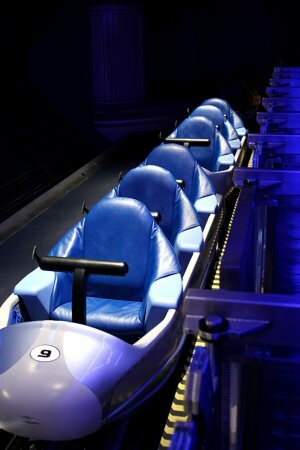 While on board the roller coaster, there is a location where a photo is taken of the train. The location of the Space Mountain camera at the turn that begins the climb to the top, which is right after the end of the blue tunnel. The camera uses a flash bulb to take the picture in the dark. 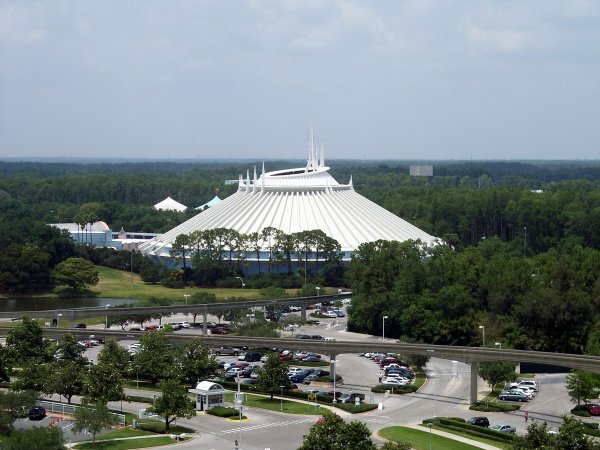 This is the location of the Space Mountain flash. There will be two flashes of light that will indicate that the photo has been taken. You can see the space mountain photo that was taken or purchase copies of it at the gift shop area (located at the exit of the ride). You can also use Disney’s PhotoPass to obtain the images. 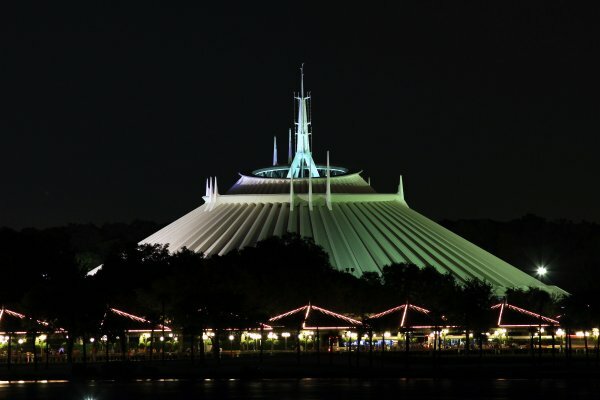 Below are some of the Space Mountain pictures that we have selected and use on the site. These photos will help to give you a visual of the building and area surrounding the ride. 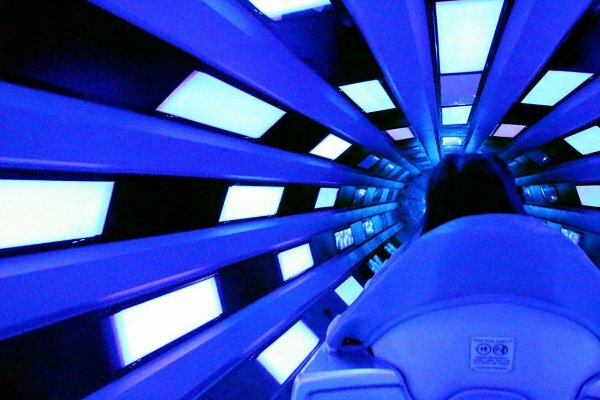 There are also some images of the interior of the building and the ride itself. 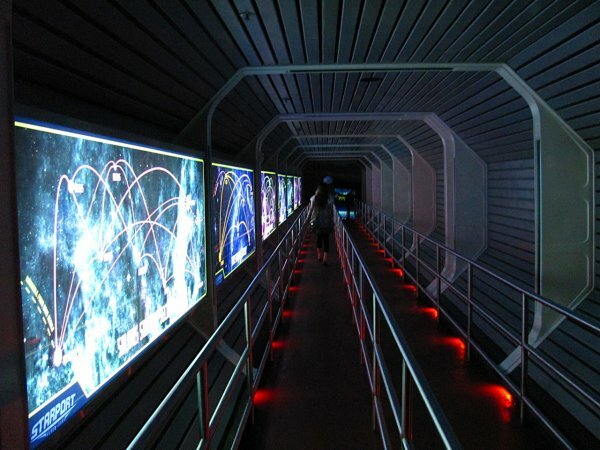 There are not many photos of the ride while it is in motion, however, the best way to see the ride is to watch one of the many Space Mountain videos that people have created. Above Space Mountain Main Entrance Photo by rickpilot_2000 on Flickr. Released under a Creative Commons License. Photo modified by NavFile. Above photo of the Space Mountain Train Cars by William M on Wikimedia Commons. Photo modified by NavFile. Image released under a Creative Commons License. Above Photo by Don Henry on Flickr. Photo modifed and enhanced by NavFile. Photo released under a Creative Commons License. Above photo of the Space Mountain Line by William M on Wikimedia Commons. Modified by NavFile. Photo released under a Creative Commons License. Above Space Mountain tunnel photo by Loadmaster (David R. Tribble) on Wikimedia Commons. Image modifications By NavFile. Photo released under a Creative Commons License.